In beautiful Cypress TX, residents enjoy the family atmosphere and everything nearby Houston has to offer. Whether they are on the greens at the Cypress Lakes Golf Course or scooping up bargains at the Houston Premium Outlets, Cypress residents love their city and their homes. Decorating is a passion, which is why we are so pleased to bring our custom designed and hand crafted stained glass windows and doors to the residents of Cypress. We work with each client one on one to ensure they have stained glass that perfectly fits their home, their own style, and the specific room it will be installed in. With our beautiful custom stained glass, one customer can have an antique flair in their stained glass entryway while another can have a modern geometric pattern in their living room skylight. In fact, the sky is the limit when it comes to designs. If you can imagine it, we can sketch it, build it, and install it. No size is too big or too small; we can build any shape or size window for any room in your home. Cypress homeowners love our leaded and beveled stained glass in their homes’ entryways for more privacy and a high end look. They love our kitchen window and kitchen cabinet stained glass to give a kitchen a unique and stunning upgraded look. 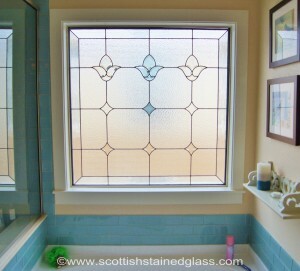 We also do beautiful, highest quality custom commercial stained glass. We work with restaurants and bars, hotels and bed and breakfasts, theaters and salons, municipal spaces, offices, and anywhere else anyone wants a stained glass installation. Although stained glass is most common for windows, it can also be added to doors, skylights, glass partitions, backdrops, or even hanging panels. Stained glass enjoys a long and beautiful history in churches, chapels, cathedrals, temples, sanctuaries, and other houses of worship around the world. Cypress Texas churches can join this inspiring tradition by adding stained glass windows or doors. Many churches in the Houston area already enjoy stunning stained glass, such as Houston’s historic Christ Church Cathedral. For churches with older or antique stained glass, we also offer expert repair and restoration services. Please contact us for more details. If it is a large and costly restoration project, ask us how we can help with your fundraising efforts. When we work with a religious client, we design the artwork for the stained glass designs to their requests. It can be completely traditional, featuring scenes, icons, or symbols from the Bible. Or it can be more modern, more abstract, and less literal, as that client requests. With over twenty years in the custom stained glass business and over 60,000 stained glass installations under our respective tool belts, we have the passion and the expertise to create exactly what you are looking for. We’d love to show you just how incredible our stained glass can look in your Cypress home or business.